What is Fortnite’s Snowfall skin? We could see the skin as early as Thursday, Jan. 31. One of the most highly-anticipated skins in Fortnite: Battle Royale season seven should become available soon. This season, players have been completing weekly challenges and collecting secret Battle Stars or Banners in the hopes of unlocking the Snowfall skin. We don’t know much about this skin yet, though, other than the fact that players will need to complete at least 60 weekly challenges in order to add it to their lockers. 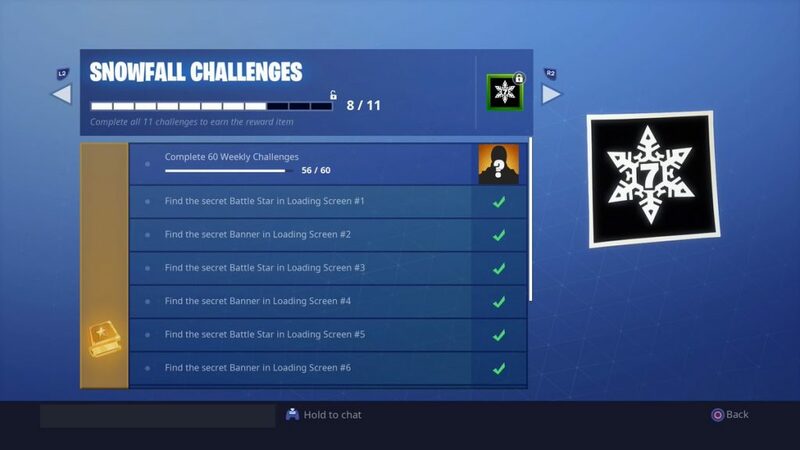 If players have completed all of the weekly challenges so far in season seven, that means they’ll have 56 done (seven challenges from eight weeks). Thus, when the next set of weekly challenges is released on Thursday, Jan. 31, players will need to complete four of them to unlock the Snowfall skin. This is similar to last season’s A.I.M skin, which season six Battle Pass owners could unlock by completing at least seven sets of weekly tasks, as well as the subsequent Hunting Party challenges. 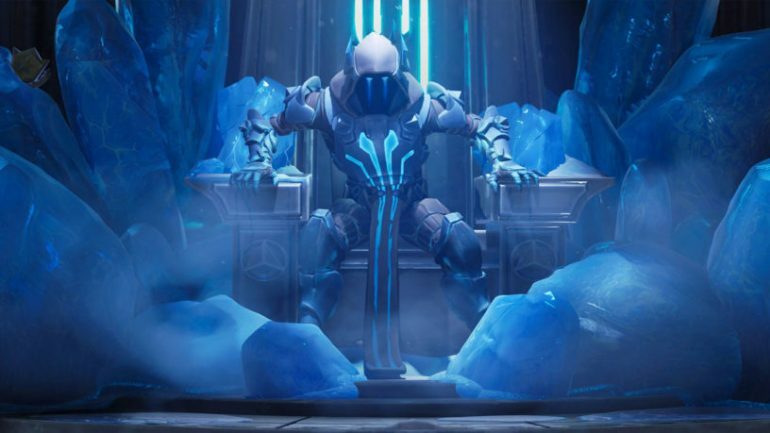 Epic Games has kept that trend rolling in season seven, but more challenges must be completed for the Snowfall skin. It seems like the identity of the Snowfall skin could be officially revealed as early as next week. If you need help completing 60 challenges for the Snowfall skin, check out our guides for all of the challenges in Fortnite season seven.